The Peru of today was shaped by its interesting and diverse history that dates back to 3000 years B.C and had a significant influence on culture, customs and cuisine of its inhabitants. Even though the complete history is difficult to explain in one blog, here is a brief summary of some of the main events in the history of Peru. It is thought that 20,000 years ago, groups of people made their way across the Bering Strait to the Americas, surviving as nomadic hunters and gatherers. Over the years the nomadic lifestyle changed to one of cultivation. Crops such as corn, potatoes and cotton were grown and llamas and alpacas began to be domesticated. The ruins of Caral, dating back to 3,000 B.C. are evidence of the oldest South American civilisation. 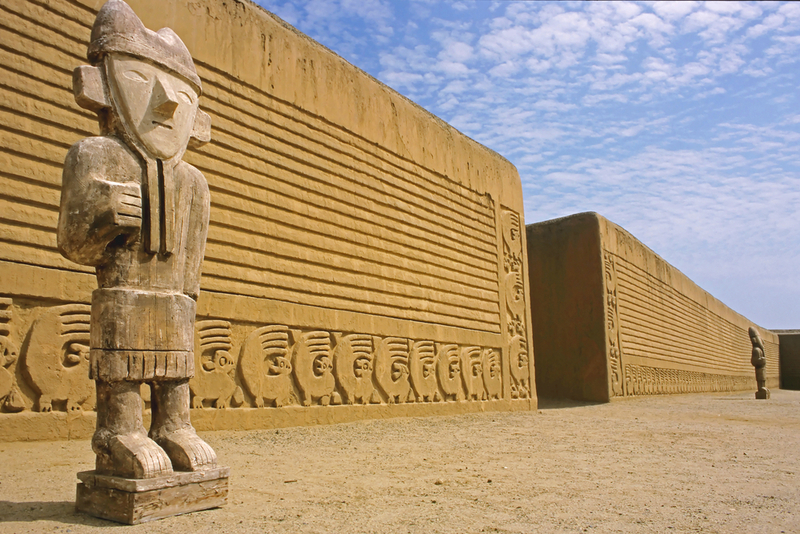 Peru was home to the Norte Chico civilisation, one of the six oldest in the world.Other highly established civilisations developed in Peru from around 3000 B.C. including the Chavin, Nazca, Moche, Chimu, Wari and Chachpoyas. The Nazca Lines in Peru. Photo credit: Shutterstock. The Moche produced some of the finest pottery seen in the ancient world as well as impressive metalwork. 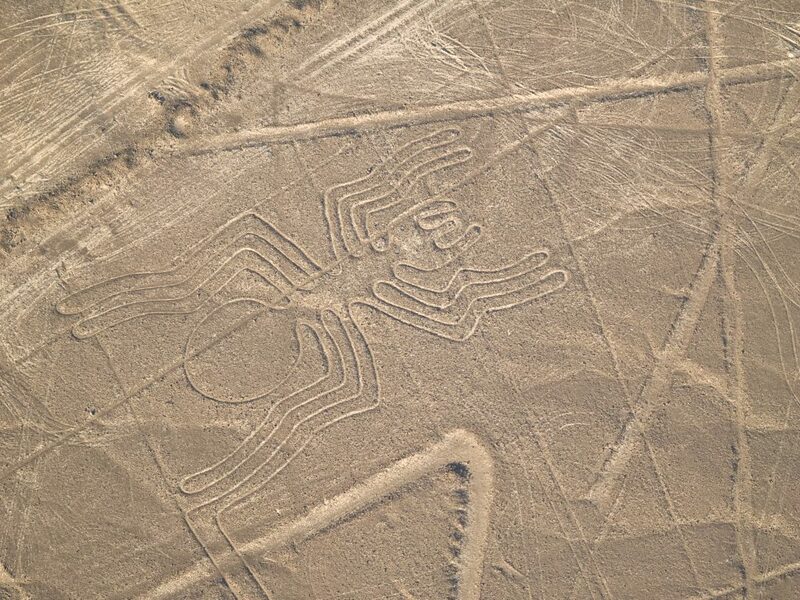 The Nazca are known for their textiles and the mysterious and enigmatic Nazca Lines. These ancient geometric lines were etched into the sand of the desert and have been preserved by their isolation as well as the dry windless climate. There are over 300 of these giant etchings, many in the design of plants and animals and they were designated a World Heritage Site in 1994. The Inca Empire, the largest empire and dynasty of pre-Colombian Amerca, flourished from 1438-1532 stretching from Chile to Ecuador, with Cusco as its capital. The empire originated in Cusco as nothing more than a small tribe based in what was to become the capital. Pachacutec was the first Inca ruler to expand the boundaries of the state of Cusco. 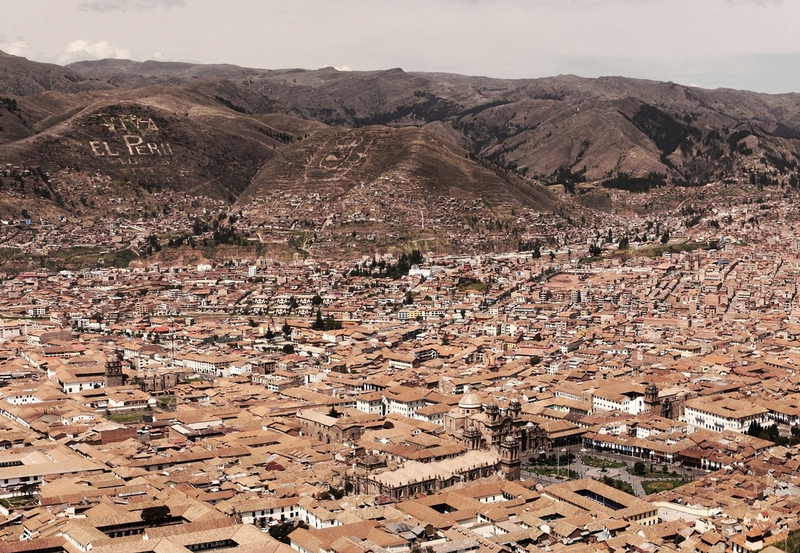 Francisco Pizarro and his Spanish Conquistadors landed in Peru in 1532, capturing and re-founding Cusco as a Spanish colonial settlement in 1534. The city of Lima, “City of Kings”, was founded in 1535, with the Viceroyalty of Peru being established in 1542, transforming Peru into the principal source of Spanish wealth and power in South America. Peru was finally liberated from Spanish rule by Argentinean Jose de San Martin and Venezuelan Simon Bolivar in 1810. Independence was proclaimed in 1821 and in 1845 Ramon Castilla became president, abolishing slavery in 1856. Are you interested in the history of Peru? Chimu Adventures offers tours to discover the ancient civilisations and cultures as well as the historic archaeological sties of Peru. 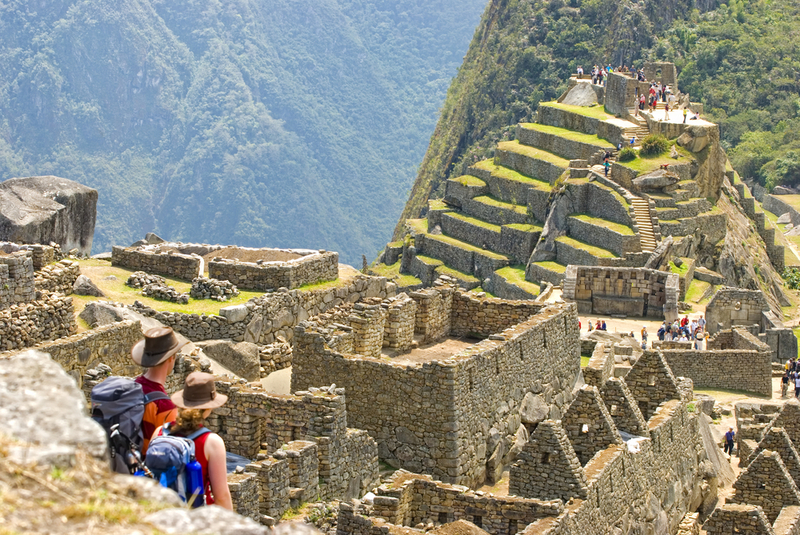 Chimu can also create tailor-made packages to put together an itinerary of your choosing. Click here for more information.